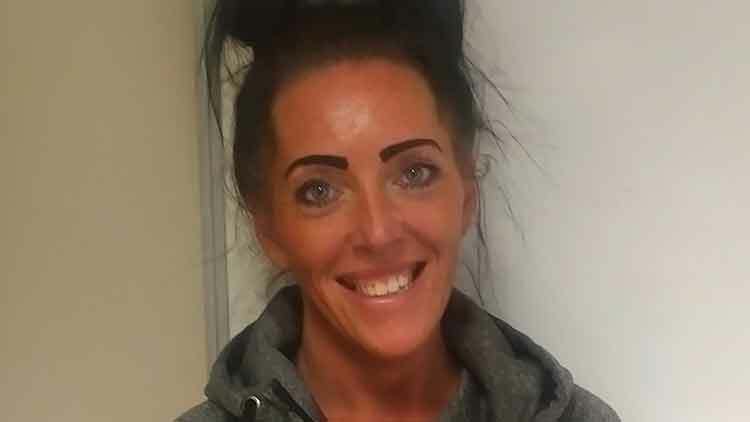 And that pride is why Amanda will be on strike tomorrow and Thursday (23 and 24 May), alongside hundreds of her catering, cleaning and portering colleagues at the Wrightington, Wigan and Leigh NHS Foundation Trust in north-west England. 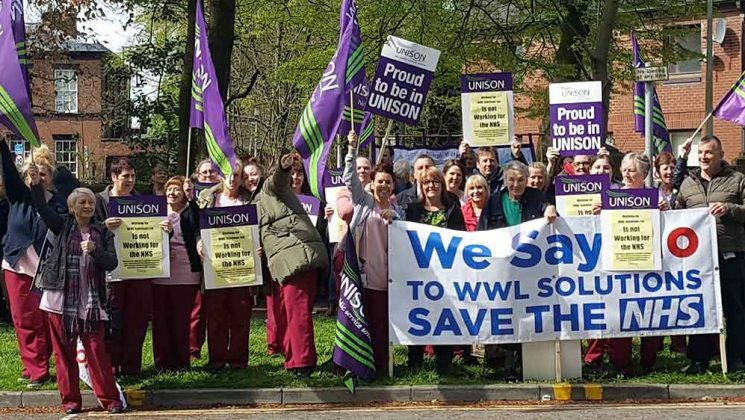 UNISON members voted for the strike to prevent the trust from moving them to a new employer called WWL Solutions – which would be a private company wholly owned by the trust as a subsidiary. Staff want to remain direct employees of the trust and of the NHS, and they fear that the proposals would put their jobs, pay and conditions at risk. 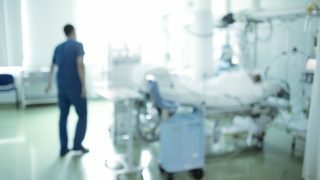 But they are also taking action to protect future generations of hospital staff, who could find themselves with worse pay and conditions. Her colleague Joanne McClure (below) has been a domestic at the trust for 20 years. 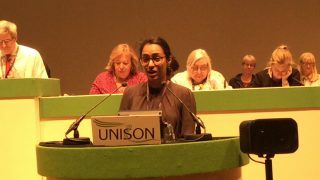 She points out that the employer’s plan – which affects 900 caterers, cleaners, porters other staff at three hospitals in Lancashire – “is about saving money so it is a big risk to us, and what happens if the new company goes bust? It’s a risk we don’t want to have to take. 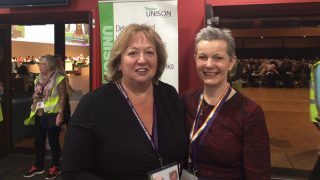 It is the strength of feeling displayed by UNISON members like Amanda and Joanne that led to the 89% vote for strike action in a ballot which saw 73% of the UNISON members affected cast a vote. He described the trust’s plan to set up a wholly-owned subsidiary – something being considered by other hospitals across England – as “an attack on the living standards and job security of people who live in the communities that this trust is supposed to serve. “And it is an attack on the prospects of future hospital staff,” he added. “As we approach the 70th anniversary of the foundation of the NHS, the trust needs to grant the wish of this group of core hospital staff to remain in the direct employment of the NHS. 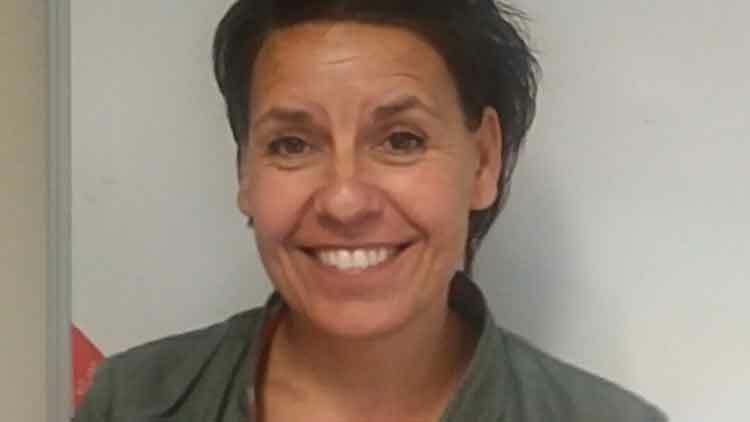 As well as pickets at the Royal Albert Edward Infirmary in Wigan, the Wrightington Hospital and the Leigh Infirmary, the strikers will be staging a noon rally tomorrow (Wednesday) at Life Centre South in Wigan, with local MP Lisa Nandy MP due to attend and give her support.